The chairman of Nigeria's All People's Congress, APC, John Odigie-Oyegun, has advised Nigerians defecting from other parties to his party to remain in their party and build a formidable opposition. 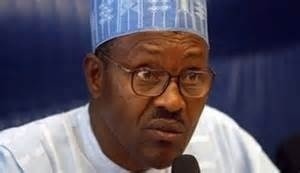 The party's president-elect, Muhammed Buhari has also been reported as saying that those defecting into the APC would have to wait before they would benefit from political appointments, in comparison to members who fought for the party's victory at the just concluded elections. Someone has quickly said Oyegun has made a mistake, and that he may not have been aware that defectors from the other party will help to strengthen his party, the same way they have done helping the party to win the presidential election. Another fellow interjects that the same way that the party has benefited from the defectors in winning the presidential, governorship and the Assembly elections, the same way the party will have to distribute political appointments. The debate on defection recalled how 7 governors of the People Democratic Party, PDP, defected from the party into the APC in 2014, and none of the APC's chieftains spoke against defection. Now, that both chairman and the president-elect had spoken on the manifest evil repercussion of defection in Nigeria's polity, it is timely to address the issue of political defection and dangers it connote in political context. Oyegun is not far from the truth that the type of defection Nigeria has witnessed in the last one year and has continued as the elections progress is capable of killing robust opposition and creating room for dictatorship. Secondly, most among the defectors are defecting for what they will gain in term of political patronage and appointments. The president-elect's statement that newly defected members should not expect appointments in comparison to other members who had fought to ensure the party's victory at the polls, means that a struggle for political patronage and appointments have already begun, while the government is yet to be formed. Already, talks about the party sharing of national offices has begun, and the east of the country that has voted in opposition is being sidelined, because Nigeria's new mega party has failed to win votes there. Some people are asking why hasn't the east also defected? And this raises the question which may not have been asked or asked in silence, about what informed early defectors from the ruling party to the opposition party? The defectors had said they were patriots and that they were fighting the ruling party for its undemocratic stances and corruption. They did not say anything about a fight for patronage and the booty. But observers say the fight for the booty for lack of access to the booty may have been one of the reasons for their defection. Now in the sharing of the booty, the new mega party considers the early defectors as meriting consideration in comparison to later defectors, if words of the president-elect is anything to consider. But later defectors are already arguing that defectors are defectors; that there is no difference between them and the early defectors, and that their defection is about the movement of the people, for the actualization of programs for the betterment of Nigeria. Of course, people have begun asking whether or not it is moral or immoral for politicians to defect from one party to another in the quest to wrest power the way it has been seen done in Nigeria at all cost. It is manifest that controlling who takes what appointment between early defectors and later defectors is the first signal of discord among members of Nigeria's new mega party. It is also the beginning of the internal war within the party that will take the lion share of the time the party will have to work to form a new government and pay attention to the needs of generality of Nigerians. It is the type of change consistent with the Nigerians political culture. One party, whether military or civilian, exits with booty sharing and another party takes over with booty sharing to its members. An uncertain scenario is whether Nigerians will benefit from the change members of the new mega party has been singing its song all through the electioneering period.